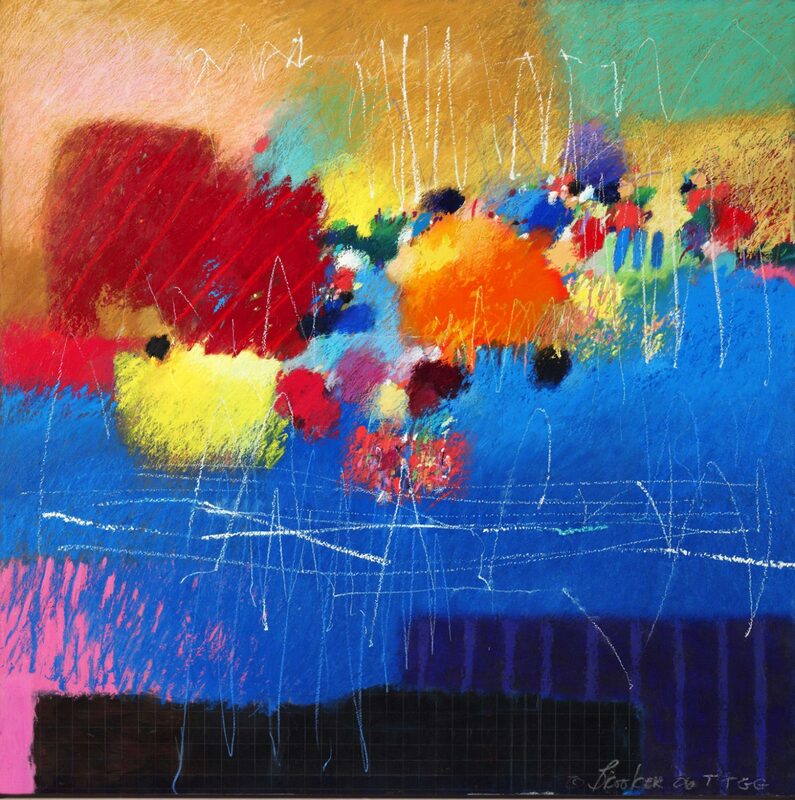 Known for his lyrical abstract paintings, Philadelphia artist Moe Brooker employs a palette of bright, electric colors; zigzag lines; and collage to create spontaneous, yet rhythmic, compositions. He finds inspiration in jazz music and draws on the work of French artist Vasily Kandinsky (1866-1944), who believed that painting can be a form of "visual music." In Present Futures, Brooker intersects graffiti-like scrawl and dense scribblings with large, overlapping patches of color to suggest a series of melodies and chords.